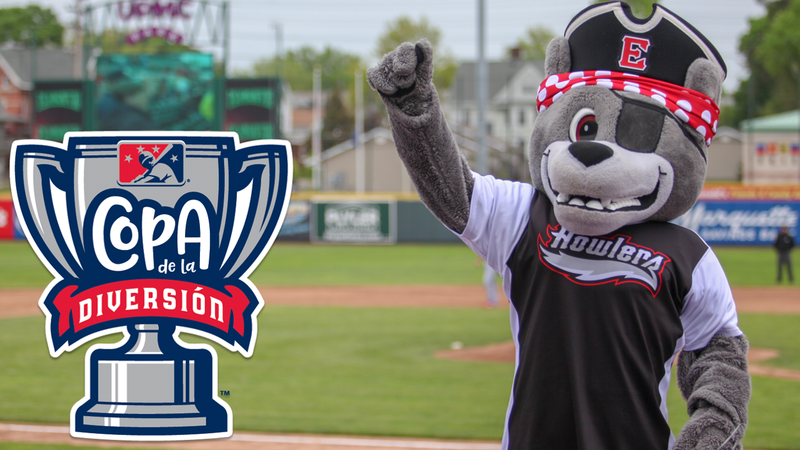 The Erie SeaWolves, Double-A Affiliate of the Detroit Tigers, in collaboration with Minor League Baseball, are pleased to announce that the team will participate in the "Copa de la Diversión" or "Fun Cup" campaign during the 2019 season. The cornerstone of MiLB's U.S. Hispanic/Latino fan engagement initiative, "Copa de la Diversión" established an innovative new platform authentically connecting MiLB teams with their diverse communities, embracing the culture and values that resonate most with Hispanics/Latinos nationwide. 33 MiLB teams from across the country participated in the season-long promotion in 2018 and the program is expanding to feature 72 teams in 2019. In March of 2019, the SeaWolves will reveal a special nickname, logos and uniforms as part of their participation in the program.